Malaysia’s 13th General Elections: A Time of Hope Or A Day of Shame? 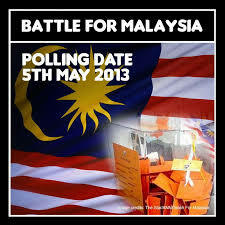 On Sunday, May 5th, Malaysians will go to the polls to elect a new government. On the surface, Malaysia is often seen as a prosperous and thriving democracy but underneath the rot is as serious and as it is deep. 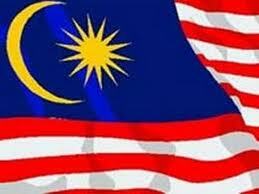 Over the last few decades, Malaysia has sadly descended into a culture of corruption, abuse of power and misgovernance. Transparency International ranked Malaysia as the most corrupt country in the world to do business. And, according to US-based Global Financial Integrity, Malaysia ranked second in the world, after China, in terms of the outflow of illicit funds. Over the last ten years alone, more than USD 285 billion has been transferred out of the country illegally, a staggering indication of the plunder that is taking place. As well, most of the nation’s institutions and the mainstream media have become little more than party political organs of the governing party which has been in power for more than 55 years. Understandably, many Malaysians desperately want change – peacefully and through the ballot box. Indeed, there is now an unprecedented level of citizen engagement in the political process aided by social and online media which has put the lie to government propaganda and cover-up and short-circuited the system of censorship and control. Malaysians are turning out by the hundreds of thousands to demand free and fair elections and to cheer on those who are committed to reform and change. Often, they have stood courageously but peacefully against official intimidation, chemical spray and razor wire. They have also given millions of dollars to support reformist candidates, something that is again without parallel in the country’s history. Despite the ruling party’s efforts to sow disunity among Malaysia’s diverse ethnic and religious communities, ordinary Malaysians have held fast, displaying respect and tolerance towards each other. The elections on Sunday will, therefore, be a defining moment for Malaysia. There is great expectation that Malaysia will finally emerge from the long dark night of corruption, abuse of power and misgovernance and forge for itself a bright new future based on democracy, accountability and respect for diversity. The ruling party, however, appears determined to hold on to power by all means necessary. Many credible local and foreign observers have already concluded that free and fair elections might no longer be possible. The electoral roll, for example, has exploded in recent months with thousands of dubious voters who cannot be traced or accounted for. In some cases, hundreds of these new voters often share the same address, a sure sign that something is amiss. The indelible ink that is to be used in the elections has now been found to be easily removable. There is even some indication that the government is illegally organizing charter flights to bring in foreign workers (non-citizens) from different parts of the country to vote in order to shore up their support especially in opposition strongholds. And all this comes on top of the fact that the opposition has been denied access to national newspapers and television while the ruling party uses the full scope of government resources to sustain its own election campaign. The political playing field is, therefore, far from level. Malaysia’s elections commission, for its part, has been thoroughly discredited in the eyes of the public for the partisan way it is discharging its responsibilities. 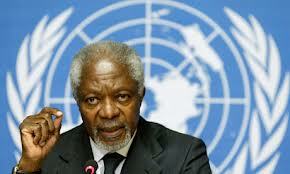 Significantly, no less a person than Kofi Annan, former Secretary General of the United Nations, has felt compelled to issue a statement stressing that free and fair elections in Malaysia are imperative. The ruling party has also gone out of its way to stir up racial and religious dissension hoping to continue its divide and rule approach to politics. Recent billboard advertisements have appeared suggesting that the Christians (who comprise less than 10% of the population) are somehow a threat to Islam, the official religion of the country. Some politicians aligned to the National Front have even called for bibles to be burned. Not so long ago, a church was attacked and firebombed. Malaysia’s Christian leaders have strongly condemned these offensive and insensitive political advertising. In an effort to further intimidate voters, various government politicians have also warned that there could be racial and religious violence should the ruling party lose the elections. The situation is therefore fraught with much danger. May 5th could be Malaysia’s shining moment or it could be Malaysia’s day of shame. It could be the day when justice and righteousness triumphs or the day when corruption, bigotry and tyranny advances. To my fellow Malaysians, I salute you for your courage and resilience in fighting for justice, for change and for a better future. On May 5th, the future of our nation will be in your hands. Vote wisely, vote early, vote carefully. To Malaysia’s friends abroad, I encourage you to continue to walk with the people of Malaysia in their long quest for justice and democracy. Please do whatever you can to inform others about the situation here and press your own governments to hold Malaysian authorities responsible for the conduct of the elections and what happens afterwards.